The American Journal of Archaeology (ISSN 0002-9114; E-ISSN 1939-828X), the journal of the Archaeological Institute of America, was founded in 1885 and is one of the world’s most distinguished and widely distributed peer-reviewed archaeological journals. The AJA reaches more than 40 countries and approximately 700 universities, learned societies, departments of antiquities, and museums. The current Editor-in-Chief is Jane B. Carter. Browse a timeline slideshow documenting the history of the AJA. The AJA is published quarterly, in January, April, July, and October, in print and electronic formats and is available through subscription and non-subscription access options. The electronic AJA is hosted on JSTOR. The AJA is indexed in ABS International Guide to Classical Studies, Anthropological Literature: An Index to Periodical Articles and Essays, Art Index, Avery Index to Architectural Periodicals, Book Review Index, Current Contents–Arts & Humanities, European Reference Index for the Humanities (ERIH), Humanities Index, Humanities International Complete, International Bibliography of Periodical Literature in the Humanities and Social Sciences (IBZ), Web of Science’s Arts & Humanities Citation Index, and Wilson Web. 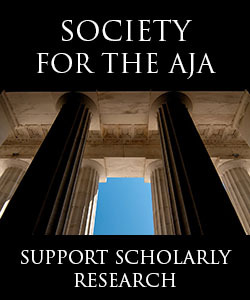 The AJA is archived in Portico, CLOCKSS and LOCKSS, and is a member of Crossref. Open access content is published on the AJA website. Abstracts, tables of contents, and author profiles are also freely accessible. The AJA Archive includes links to all published content from the first volume in 1885 to the present, and a powerful subject and keyword search tool allows for content discovery. Browse the Learning Resources page for listings of vetted archaeological websites, blogs, and multimedia and interactive projects. Up-to-date AJA news is circulated via the AJA and AIA e-updates, Facebook, and academic listservs.